In the most general terms, the Japanese word “kawaii” refers to the prevalent aesthetic of cuteness in the national culture. The combination of great force held behind a small, innocent exterior is surprisingly recurrent in Japanese pop culture—think Astro-Boy, Pikachu, or Sailor Moon—and understood in some schools of thought as a reaction to Japan’s unconditional surrender that closed out WWII. Characters such as these may hold such enduring popularity with audiences in their native land due to a national desire to maintain the feeling of power while projecting an outward appearance of harmlessness. From this sociocultural breeding ground of “kawaii” was Hello Kitty born. Deadline reports today that the iconic cartoon feline will make the jump from TV (and comics, lunch boxes, folders, binders, every imaginable article of clothing, and of course, breast pumps) to the movies in her first-ever feature. 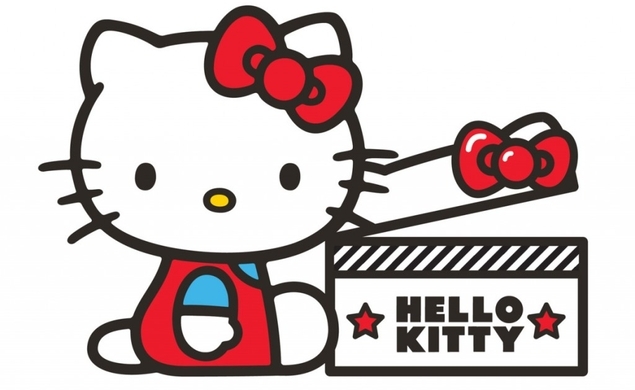 Without specifying whether it will employ animation, live-action photography, or a combination of the two, Hello Kitty’s parent corporation Sanrio announced its intentions to produce a film through its U.S. subsidiary Sanrio Pictures And Entertainment. Though the studio has not yet divulged any details as to what shape the movie will ultimately take, it’s gunning for a release in 2019, and projecting a budget somewhere between $160 and $240 million. But who is this “Hello Kitty,” really? On her official Facebook page, the Personal Information section reads, “Hello Kitty lives in the suburbs of London with her parents and her twin sister Mimmy. She has lots of friends at school with whom she shares many adventures. Her trademark is her red bow that she always wears over her left ear. Hello Kitty is as heavy as three apples and as tall as five apples.” The confounding physics of her height-to-weight ratio notwithstanding—Hello Kitty would have to have the density of a sponge to fit those proportions—that sounds like a fine starting point for a children’s film. Family, friends, and school are the core components of childhood, elements that transcend national boundaries. Oh, and there’s a Hello Kitty-themed maternity ward in Japan, too. Almost forgot about that one.